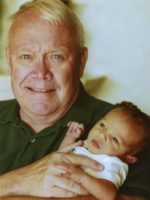 David passed away Saturday, November 26, 2016 at Life Care Center in Plainwell. He was born March 9, 1943 in Plainwell the son of Lloyd and Doris (DeBryne) Ferguson. For many years David had worked for Rockwell Manufacturing in Allegan. 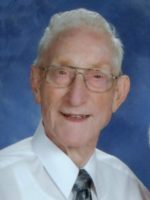 He enjoyed fixing and building things, spending time in his barn working on motors and tractors, keeping up his lawn and most of all he loved spending time with his family . In 1963 in Allegan he married Claudette Wesseling who survives. Also surviving are his children, Trisha (Mark) Hipp of Florida and Tammy (Kevin) DeRyke of Otsego; grandchildren, Jacob Cannon, Logan Brown, Bailey Brown, Brandon DeRyke and Kyle DeRyke; siblings, Don (Sherri) Ferguson, Jackie (Hubert) Friar, Nancy Ackley and Terry Fields along with several nieces and nephews. He was preceded in death by his parents, son, Todd Fergusson and grandson, Anthony Cannon. A memorial service will be held at 2:00 P.M. Thursday, December 1, 2016 at the Winkel Funeral Home, Otsego with Minister Gretchen Kershaw officiating. Contributions in memory of David may be made to Gift of Life. Bruce passed away Monday Nov 21, 2016 at his home in Otsego. He was born July 9, 1947, in Benton Harbor the son of Ray and Francis (Peppler) Summerer. He attended Michigan State University where he received a Master’s degree in Engineering. An engineer for Caterpillar Equipment of Peoria, IL, after school, he married Linda Morgan, on September, 10, 1971 in Grand Blanc and they relocated to southwest Michigan. In the mid 70’s he founded Allegan Pipe and Supply Company selling irrigation equipment. The business grew into a farm equipment distributorship, offering some of the area’s first large articulated 4x4 tractors with brands like Versatile and Rome and they farmed over 600 acres in the Plainwell/Otsego area while raising a young family. Leaving the agriculture business in the mid 1980’s, he became a financial investment advisor and opened his own branch in Plainwell which grew to 5 other brokers. Bruce also served on the board of Hope Lutheran Church through much of the 1990s. Always the outdoorsman, Bruce was always ready to head out to the woods, with friends both human and canine, in search of game on the ground, or in the water or air, where the woods helped him forge many life-long friendships. He will be remembered as a hardworking man whose focus was always on his family. Being an only child, he truly valued his family, and sharing adventures outdoors with his family and friends was his favorite past time. He is survived by his loving wife of 45 years, three sons, Allen (Staci) Summerer of Plainwell, Brett (Emily) Summerer of Corning, NY, and Corey Summerer of Denver, CO, as well as 6 grandchildren, Noah, Bree, Truman, Evander, Rhys, and Evangeline. A memorial service will be held Saturday, November 26, 2016, at 3:00 PM at the Friendship Wesleyan Church on Starr Road in Plainwell, with Pastor John Wood officiating. Contributions in memory of Bruce may be made to Pheasants Forever or Christian Neighbors. 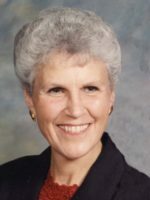 Dorla N. Curry passed away Friday, November 18, 2016 in Martin. She was born November 19, 1935 in Hopkins the daughter of Hollis and Mary (Munn) Kent. Dorla had been a teacher in a one room school house in Hopkins in the 1960’s. She then graduated from the Nazareth School of Nursing and had worked at Borgess Medical Center until her retirement in 1992. 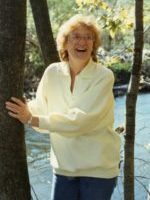 In her spare time she enjoyed knitting, crocheting, canoe trips and camping with her family and attending sporting events for her children and grandchildren. 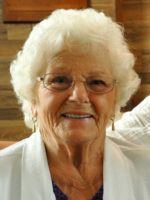 Dorla was an active member of the Watson Bible Church and a supporter of the Martin Athletic Boosters. On August 5, 1955 in Watson Township she married her sweetheart since 8th grade, Jerry Curry who survives. Also surviving are her children, Beth McGuire of Martin, Jerry Jr. (Pat) Curry of Martin, Bradley (Janet) Curry of Canyon Lake, TX, Tim (Roxanne) Curry of Hilliards and Chris Curry of Plainwell; 11 grandchildren, Amber (Chris) Johnson of Seattle, WA, Steven (Alysa) McGuire of Stanwood, Michael McGuire of Martin, Jennifer Curry of Martin, Eric (Lisa) Curry of Cooper, Dana Curry and Sara Curry both Canyon Lake, TX, Andy (Leigh) Curry of New Braunfels, Tx, Kailee Curry of Plainwell, Courtney Curry of Charlotte, NC and Carissa Curry of Plainwell; 12 great-grandchildren and sister, Jan (Dan) Hamilton of FL. She was preceded in death by her parents and brother, Ted. Friends may visit with Dorla’s family from 2:00 P.M. until 5:00 P.M. on Sunday, November 27, 2016 at the Winkel Funeral Home, Otsego. A funeral service will take place at 11:00 A.M. on Monday, November 28, 2016 at the Watson Bible Church with Pastor Tim Farley officiating. Burial will follow at South Martin Cemetery. Contributions in memory of Dorla may be made to the Allegan County Medical Care Community or the Martin Athletic Boosters. 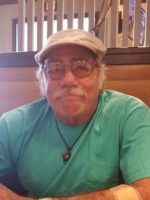 Leo Melvin Smith Jr. of Otsego passed away Wednesday, November 16, 2016 in Battle Creek. Leo was born June 16, 1944 in Detroit. He served his country honorably during the Viet Nam war in the Army and spent another 20 years with the National Guard. Leo was a loving and caring family man. On May 13, 1978 in St. Louis, MI he married Susan Ranger who survives. A Memorial Service will be held Tuesday, November 22, 2016 at 11:00 A.M. at the Winkel Funeral Home, Otsego with Pastor Joe Shaler, officiating. Military Honors by V.F.W. Post #3030. Contributions in memory of Leo may be made to the Diabetes Association or American Cancer Society. Erika passed away Monday, November 14, 2016 at Borgess Medical Center in Kalamazoo. She was born January 20, 1928 in Frankfurt, Germany. Erika loved attending the Otsego Seventh Day Adventist Church, flower gardening, having coffee and cake and visiting with her friends. On May 21, 1948 in Otsego she married Wesley Snook who preceded her in death in 2008. Surviving are her sons, Wesley Snook Jr and Erik Snook both of Otsego; grandchildren, Leslie, Amy, Amber, Alesia (Matt), Sarah, Patricia and Jessica; several great-grandchildren and great-great-grandchildren; siblings, Hanz (Rosemary) and Erika (Harry) and many nieces and nephews. She was preceded in death by her parents, husband and infant daughter, Sonja. A memorial service will be held at 11:00 A.M. on Sunday, November 27, 2016 at the Otsego Seventh Day Adventist Church. Contributions in memory of Erika may be made to her family. Ernie passed away Thursday, November 10, 2016 at Bronson Hospital in Kalamazoo. He was born January 6, 1918 in Stephens County, Oklahoma the son of John and Mary (Patton) Nunley. Ernie served his country in the United States Army Air Force during WWII in England, France and Germany. After the war Ernie worked in Oklahoma, the Dakotas and Oregon. In the middle of December 1947 he came to Otsego to visit an Army buddy and decided to stay. Shortly after, Ernie met Thelma Burr and they were married December 18, 1948 in Watson Township. They spent over 50 years together until her passing in 1999. 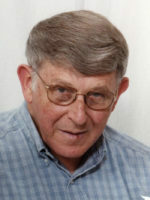 Ernie had worked at Valley Metal in Plainwell as a foreman and for Hammond Machinery until his retirement in 1983. He was very skilled and could fix or make anything. In 1991 he was asked to come and work at the Gilmore Car Museum, where he volunteered for 15 years. Surviving are his step-children, Bill Jr. (Barbara) Burr of Plainwell and Sandy Burr of Otsego, several grandchildren and great-grandchildren and sisters-in-law, Norma Shipley, Mary (Pat) McLaughlin and Margaret Guider. He was preceded in death by his parents, wife, Thelma and his siblings. Friends may visit with Ernie’s family from 3:00 P.M.-5:00 P.M. on Sunday, November 13, 2016 at the Winkel Funeral Home in Otsego. Burial of ashes will take place at Hicks Cemetery in Watson Township at a later date. Contributions in memory of Ernie may be made to Talons Out Honor Flight of Michigan or Otsego VFW Post #3030. Ward Burton Fritz passed away Thursday, November 10, 2016 surrounded by his family at Rose Arbor Hospice in Kalamazoo. He was born August 24, 1928 in Allegan the son of Howard and Enola (Dailey) Fritz. Ward had been a member of Otsego First Baptist Church and had served as choir director and deacon and enjoyed singing with the Crusaders. He was currently a member of the Oakwood Bible Church in Kalamazoo. In his spare time Ward enjoyed deer hunting and photography. On February 16, 1948 he married Pauline Beldon-Brown at their home in Otsego. Together they enjoyed traveling on his Gold Wing motorcycle. Pauline preceded him in death on April 9, 1996.On December 12, 1997 at Oakwood Bible Church he married Betty (Geverink) Bayer who survives. Also surviving are children, Douglas (Cathia) Fritz of Plainwell, Pamela (Bradley) Scott of Kalamazoo, Michael (Sandi) Fritz of Kalamazoo, Valerie (William) Orr of Augusta and Kimberly (Steven) Frost of Plainwell; step-daughter, Karen (Gary) Kortman of Kalamazoo; 7 grandchildren; 10 great-grandchildren; sister, Rayma (Donald) Moore of Otsego along with many nieces and nephews. He was preceded in death by his parents, wife, Pauline and sister, Corky. Friends may visit with Ward’s family starting at 10:00 A.M. on Saturday, November 19, 2016 at the Oakwood Bible Church in Kalamazoo until the time of the memorial service at 11:00 with Pastor Steve Johnson officiating. Contributions in memory of Ward may be made to Hospice Care of Southwest Michigan. Mary Jeannine Gregg passed away peacefully on November 7, 2016 at Rose Arbor Hospice. She was born on April 6, 1933 in Louisville, KY, the daughter of Edward and Evelyn (Barnes) Goffinet. Jeannine was a gifted artist, an avid reader and gardener. She loved spending time with her family and her furry family. She is survived by her husband, Dr. Bill Gregg; children, Tom (Thia Rose) Reising, Lin (Dan) Lukins, Laura Reising, Scott (Vicky Frame) Reising and Beth Franko; grandchildren, Patty, Jacob, Sara, Carly and Nick and great-grandchildren, Crystal, Nicole, Lillian, Gabriel, Jasper and Oliver. She was preceded in death by her parents; brother, Pete; husband, Tom Reising and 2 daughters, Ann Marie Reising and Mary Elizabeth Reising. No services will be held per Jeannine’s instruction. Her family asks that in her memory please perform a random act of kindness and be peaceful. Contributions in memory of Jeannine may be made to Pet Resource Network. 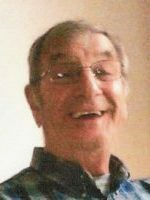 Arthur Eugene Shoup “Art” age 84 passed away Wednesday November 2, 2016 in Plainwell. He was born February 12, 1932 in Kalamazoo the son of Percy and Maude Shoup. He served his country in the US Marine Corps during the Korean War where he was a machine gunner on the front lines for 8 months. 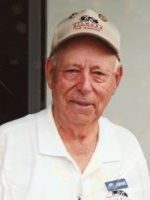 Art had worked for Harding’s Market for 34 years and then opened Shoup’s Party Store in Otsego which he owned and operated from 1980 until his retirement in 2000. In his spare time he enjoyed golfing, working and most of all enjoyed spending time with his family. On July 15, 1950 in Portage he married Barbara Salisbury who survives. Also surviving are 5 children; Sherry (Michael) Leslie of Elkhart, IN, Susan (Burdette “Bob”) Smith of Marcellus, Rick (Marjorie) Shoup of Rockford, Peggy (Steven) Brinkart of Otsego and Michael (Lori) Shoup also of Otsego; 10 grandchildren; 12 great-grandchildren and his siblings, Fred, Rosie and Don. He was preceded in death by his parents. Friends may visit with Art’s family Monday, November 7, 2016 starting at 10:00 A.M.at the Winkel Funeral Home until the time of the funeral service at 11:00 A.M. with Celebrant Bill Rose officiating. A graveside service will follow at Mt. Ever Rest Memorial Park in Kalamazoo. Contributions in memory of Art may be made to Wounded Warriors Project.